I am pleased to say I did it! I made my first choux buns. Before this I’d never made choux pastry before, although I am a big fan. For proof, see my Choux pastry creations board on Pinterest! But I managed it, though I am sure improvements can be made in my technique. 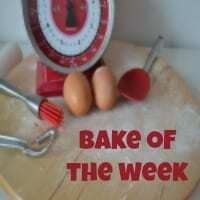 This is my entry into the Perfecting Patisserie linkup which I am hosting along with Kevin from The Crafty Larder. For me, this linkup is a challenge to myself to try out patisserie recipes that I would normally probably avoid as they seem too daunting. One of the main patisserie recipes I would like to try will be macarons. I’ve seen so many disasters with them. Which meringue method to use, how to get “feet”, how to get a nice shape, it sounds very complicated, and up to now that has been enough to make me run a mile! Macarons, eclairs, madeleines, meringues, tarts, profiteroles, entremets and so on are all welcome in the linkup, as well as bakes like croissants, brioches and pastries which might be classed as “viennoiserie”. There is no theme for this month, to get us started. After making the choux buns, I froze them for a few days as I didn’t have time to use them straight away. Luckily they froze well, defrosted fast, and just needed a couple of minutes in the oven to crisp up again. Crême patissière will have to wait for another attempt unfortunately. I decided to fill the choux buns with double cream and lemon curd, and drench them with icing sugar and lemon zest. A delicious mouthful! As I am a beginner in choux pastry, I followed Delia Smith’s recipe and method for choux buns. The buns were then filled with extra thick double cream and lemon curd, and covered with icing sugar and lemon zest. I look forward to trying choux pastry again now I’ve finally managed to pop my cherry. 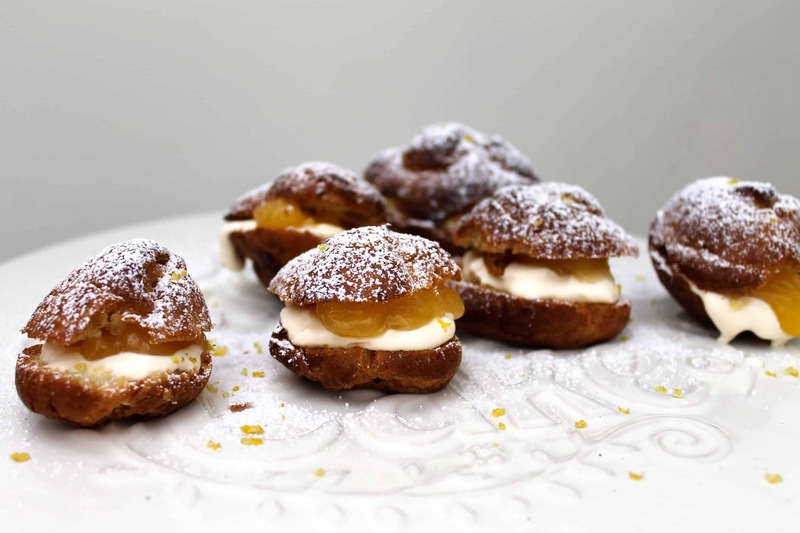 I hope you like my lemon curd choux buns, let me know if you try them. 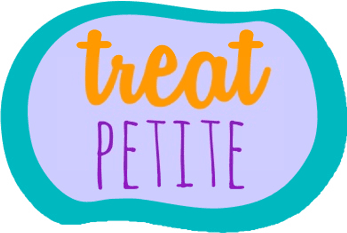 I’m also linking up with Treat Petite from Stuart from Cakeyboi (this month’s host) and Kat The Baking Explorer. The theme this month is Eurovision and I am representing France with my choux buns. Allez les Bleus! These look really delicious and for a first attempt they look brilliant. Yummy that look so good! These sound great! I remember my parents cooking choux pastry quite a lot, but I’ve never attempted it myself. You make it look easy, I’ll have to give it a try! It must be an 80s thing, my mum used to make them a lot too! Oooh I love the sound of these! 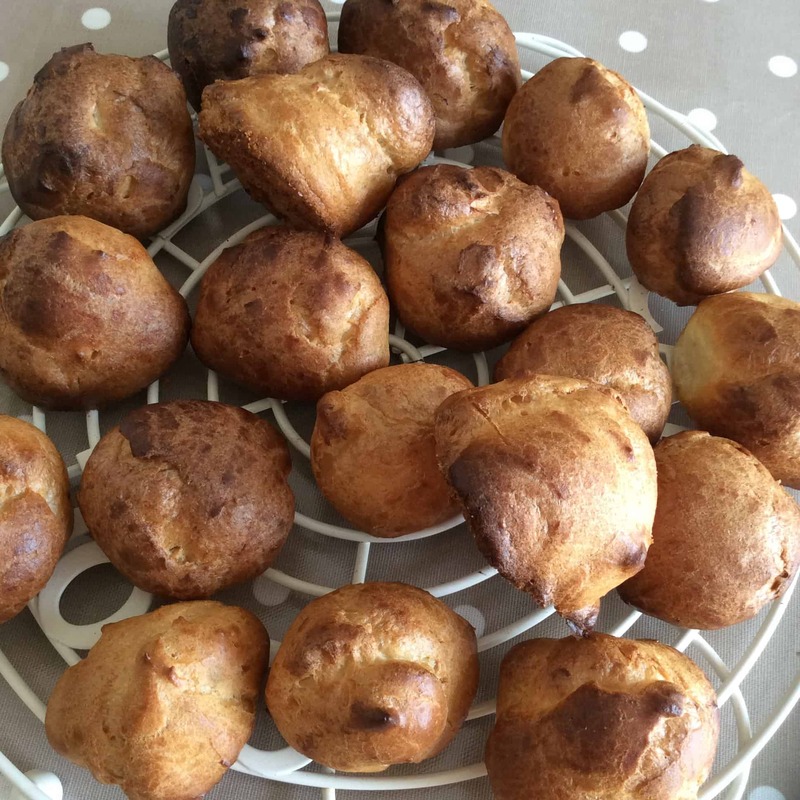 I haven’t made choux buns since I was a child, I really ought to give it a go again! WOOHOO! I LOVE choux pastry. One of my all time favourites. Lemon and cream is such a classic combination too. Great job! 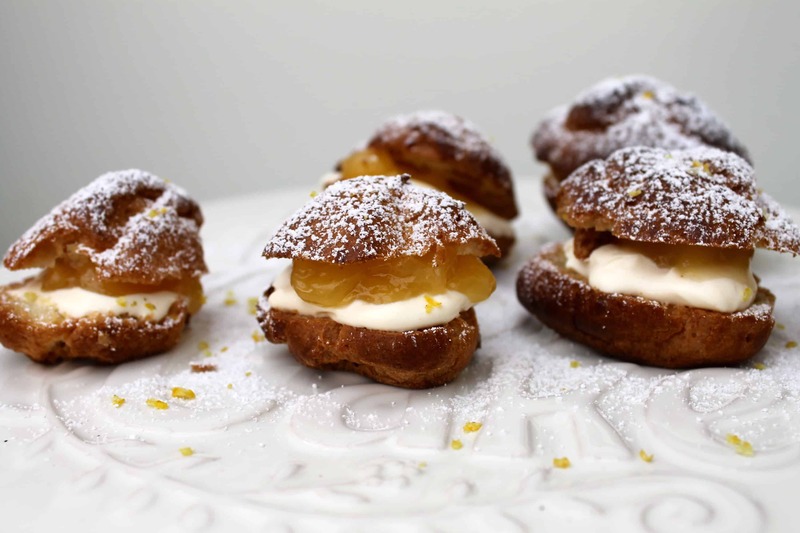 Love choux pastry and filled with lemon curd sounds like a great combination. Thanks, was tasty when I scoffed them! These look great Lucy, well done. Choux can be very tricky as a lot of recipes don’t have a long enough cooking time and they either deflate or they’re wet still in the middle. Creme patissiere isn’t that difficult and it will keep in the fridge for a couple of days, so you can make it in advance, just give it a whisk or a beat with a wooden spoon to loosen it up. I look forward to linking up to this challenge soon! Great tips, thank you. When I do get round to making creme patissiere I will bear that in mind. I like making things in advance.